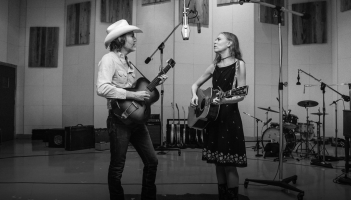 Recorded in Nashville during the Americana music festival at Sound Stage Studios, David Rawlings, joined by Gillian Welch, played a set of new folk songs that evoke old folk traditions. Listen to those performances and interview with Talia Schlanger now! 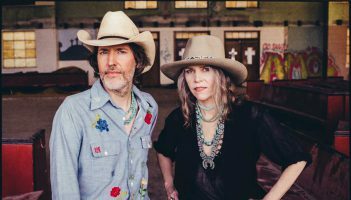 David Rawlings has announced an extensive Winter/Spring tour, in support of POOR DAVID’S ALMANACK, released August 11th on Acony Records. David, Gillian and the band will be headlining shows all across the United States. Special fan club presale begins Wednesday, September 27th at 10am local time for access to early-bird tickets. Just use the code “ALMANACK”. 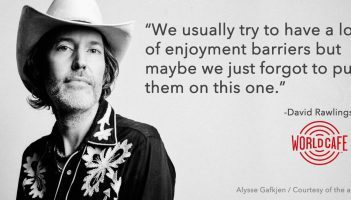 The presale only lasts for 24 hrs and can be accessed here, with all updated ticket links on the David Rawlings tour page. All shows go on sale Friday, September 29th. *Fan Club presale begins Wednesday, September 27th at 10am local time. Use the code ALMANACK for access to early-bird tickets and lower fees. 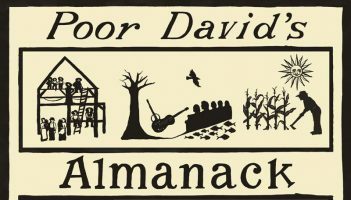 Poor David’s Almanack LPs are now widely available. Visit your favorite record store or click below to order the new album now. Poor David’s Almanack is out today! Poor David’s Almanack is out today! NPR hails the album as an “impressively wide-ranging collection of American roots music” and it can purchased on LP, CD, or digital here. *All shows are on sale now! 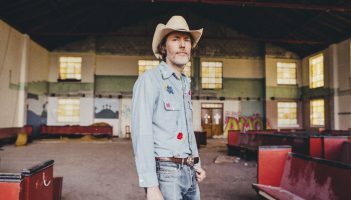 You can now hear David Rawlings’ new album, POOR DAVID’S ALMANACK, on NPR First Listen! The brand-new LP comes out this Friday, August 11th. 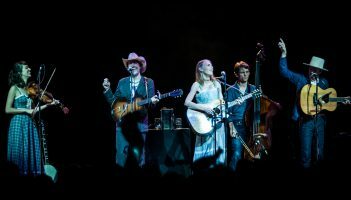 “With the help of longtime partner Gillian Welch, Rawlings assembles a sweetly engaging, impressively wide-ranging collection of American roots music.” –Stephen Thompson, NPR Music. Click here to stream the album on NPR. 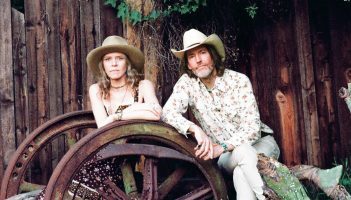 Folk music duo Gillian Welch and David Rawlings were frustrated by the quality of vinyl LPs being produced today. So they decided to cut their records themselves. 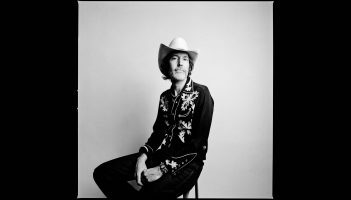 The Dave Rawlings Machine has added new tour dates this August, as they make their way to Colorado for the Rocky Mountain Folks Festival! All new shows go on sale next Friday, May 12th (more details on our tour page as they come in). 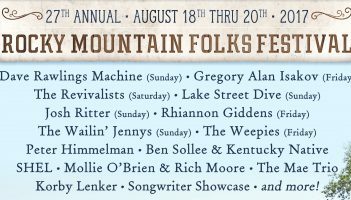 Dave Rawlings Machine will be gracing the stage of the Rocky Mountain Folks Fest again in Lyons, CO, this summer on the last day of the long-running folk festival, Sunday, August 20th. You can purchase tickets at shop.bluegrass.com/folks and see the rest of the lineup by clicking here. 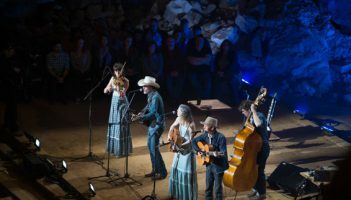 For those not able to make it to the Dave Rawlings Machine’s extra-special performance at Cumberland Caverns in TN this spring, Dave’s set will be broadcast in the very first episode of the Emmy Award-winning Bluegrass Underground, starting up again this week on PBS. Click here to check your local PBS listings and click below to watch a clip of “The Last Pharaoh” from the Machine’s episode, which airs this week. As the Machine heads up the West Coast this fall, we’ve added an essential stop at the Hardly Strictly Bluegrass Festival in Golden Gate Park in San Francisco on Saturday, October 1st. See below for what will likely be your last chance to catch this Machine this year!